With the newly designed Mazda 6 launch on the horizon, Mazda has announced more new features that they will be incorporating into their newest models. “i-Activsense” is an umbrella term Mazda is using to cover a series of new safety monitoring response system technologies designed to help the driver safely navigate the roads. Many have already been incorporated into the new CX-5. Judges the traveling speed distance to vehicles ahead and modifies the speed of your vehicle to maintain a safe following distance. This means no longer fussing with your cruise control on long trips every time you come up on some traffic! 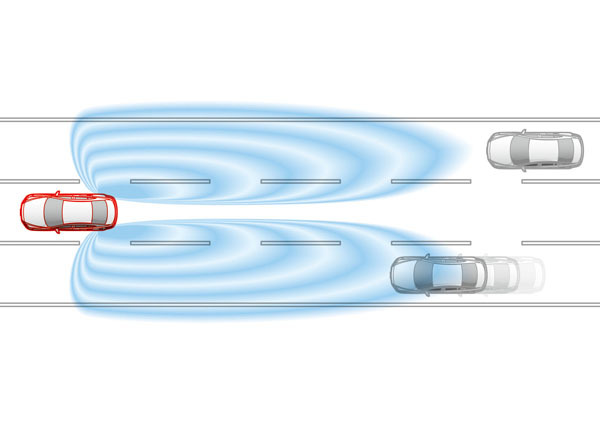 Already incorporated into the new CX-5’s, this is designed to help drivers avoid frontal collisions. 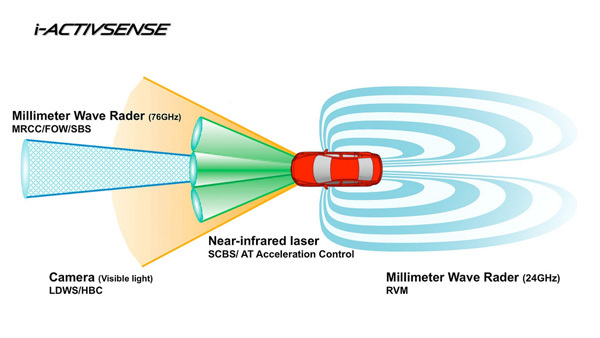 The system uses a laser sensor to detect a vehicle or obstacle in front of the car and automatically actives the brakes and reduces engine output if the driver fails to slow the vehicle appropriately. Monitors the gap between vehicles and the closing speed and then calculates the risk of collision occurring if the driver were to take no action. This ensures a faster response when the driver actives the brakes. Ever get so tired of turning your high-beams on and off on the highway at night that you just decide to leave them off? Well this smart high beam control system will take care of that for you! The high beam control will detect oncoming traffic and will automatically switch headlights between high and low beam, improving visibility at night and aiding hazard avoidance. When the system is switched on, a camera on the widescreen will monitor the position of the white lane markings at speed of 65MPH or higher to detect risk of an unintentional lane change and then will alert the driver with a rumble sound when moving out of their lane without indicating. 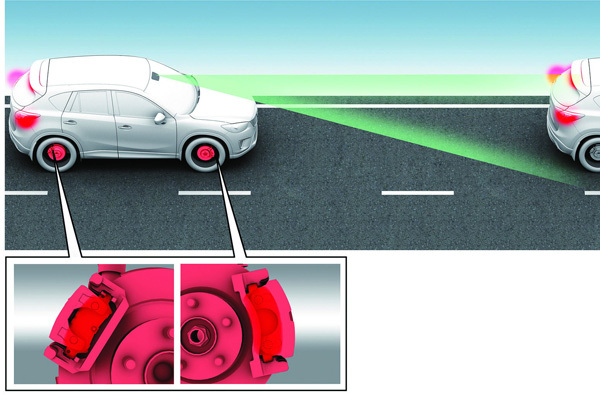 A smart solution to aiding a driver with their “blind spot”, the rear vehicle monitoring system will activate an indicator light in the door mirror for a driver making a lane change when a vehicle is approaching quickly behind the car and to warn the driver either if the vehicle might be invisible (in the blind spot) on the side or if a vehicle will approach within 5 seconds. 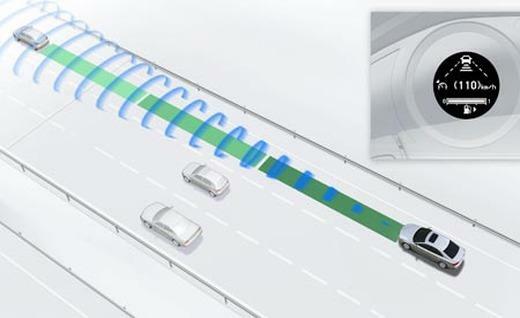 The system will monitor both sides of the vehicle and indicate when intending to overtake or be overtaken. 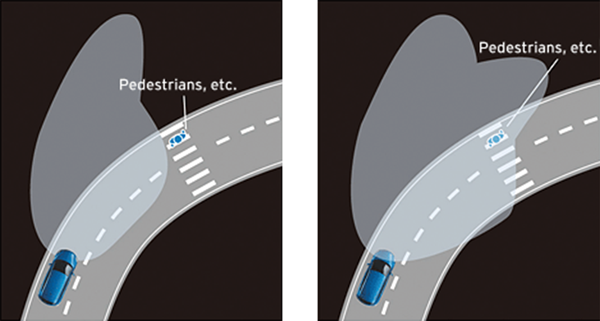 The new AFS system automatically adjusts the angle of a vehicles headlight according to steering direction so when you are cornering or approaching intersections at night, the beam of the headlights illuminate the path the car is actually following. While none of this new technology is groundbreaking, it is great that they are being incorporated into Mazdas line-up providing they have the flexibly to be turned on and off as needed. Some of them could potentially have a few drawbacks if not implemented properly, but I trust Mazda to incorporate these features in a smart and sensible way so that the driving experience is enhanced rather than hindered.